How is the Mercedes-AMG A45 So Underpriced in Malaysia? If you look at serious, but accesible performance cars today, there are quite a number of choices. From the mass market brands, there’s plenty of excellence. Starting with the Renault Megane GT at the lower spectrum, the Civic Type R for proven performance and the Golf R for a close-to-complete package. 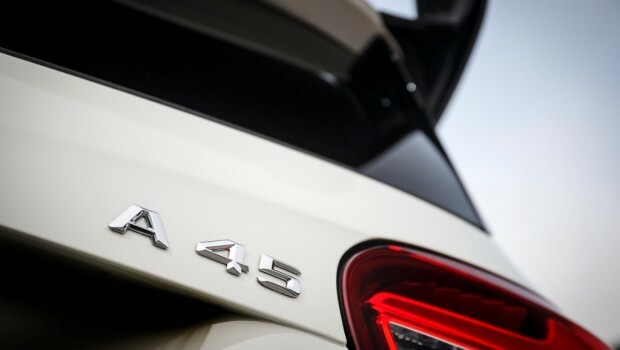 The premium brands give you the A45 and the M2. The first three cars from Renault, Honda and Volkswagen are priced appropriately between RM225K and RM310K. Exactly what we would expect. 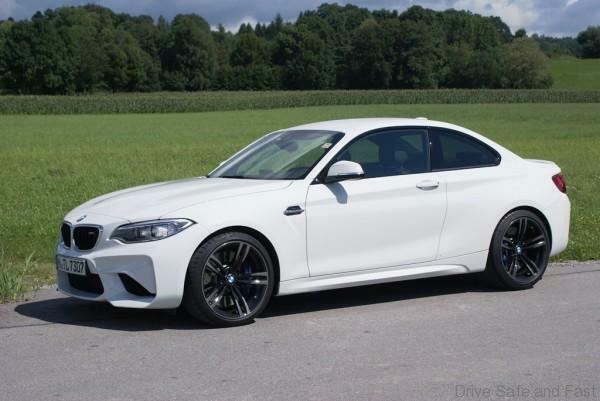 And the BMW M2 is priced at RM500K. Considering it’s from a premium marque, features M performance parts, is rear wheel drive and a huge statement of a car, the price tag makes sense. But then things get really weird. Because the Mercedes-AMG A45 is just as awesome, as hard hitting, and as special as the BMW M2. Yes, it has fewer cylinders and more doors, but it’s also slightly higher in the numbers game. Yet in Malaysia, it’s priced at just RM329K. Yes, still pricey, but how it it as cheap as a Civic Type R? Aren’t Mercedes-AMG cars supposed to be super exclusive things? 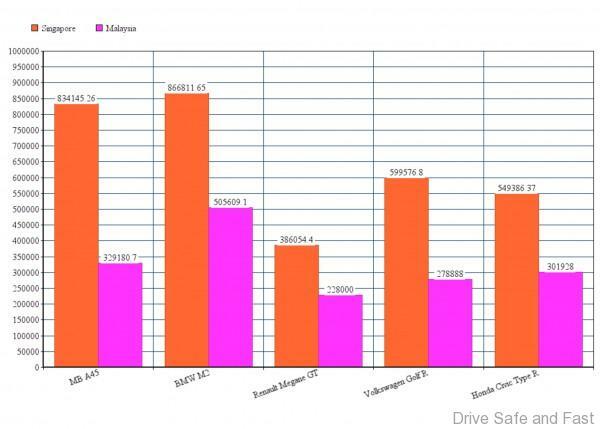 To give you some context, let’s compare the price DIFFERENCE of these cars in Singapore. Mind you, in Singapore, they also sell the BMW M140i and Audi RS3 Sportback, which are slightly closer competitors to the AMG A45 than the M2. We’ve just included them for additional context. It’s as if Mercedes-Benz Malaysia is competing with mass-market brands in Malaysia with regards to this particular model. More importantly, the price difference between a BMW M2 and a Mercedes-AMG A45 is something like 3.8% (RM32,666.40 after converted) in Singapore. In Malaysia, the price difference is something like 34.9% (RM176,428.40 cheaper) in Malaysia. Is it just the differences in equipment that make for such a huge percentage in price difference? Is final pricing easier to play around with in Malaysia? Is the A45 pushed as a loss leader in Malaysia for the rest of the compact car range? What’s the reason for this gigantic weirdness in pricing? These are the questions we think Malaysians should ask in this #Malaysiabaru.